At the end of last year we sent out these cute T-Rex teddies to our clients, as a small token of appreciation for working with us. The response we had was overwhelming. Not only did everyone love the thank you gift, taking photos of their new ‘friend’ and sharing the love on social media but they also loved receiving a surprise in the post that wasn’t your typical letter or thank you card. So we got thinking about why people loved receiving the “lumpy post” so much. And it seems that the biggest reason was that it was just so unexpected. Receiving letters through the mail seems to signify boring bills and junk mail. Plus with living in a digital era, important and urgent information is typically sent via email or your instant messaging platform of choice, making IRL post very unexpected. Even penning a letter to someone nowadays is a rarity. So receiving positive, fun, exciting post is a novelty. It turns out you can also harness this positive feeling by receiving lumpy post, to make people feel good things about your brand. Sending anything personalised is a winner – it’s kind and considerate and genuinely thoughtful. But sending a personalised plushy, mug or item of stationery for example, means you’ll also make a lasting impression, both through your mindfulness and via the longevity of the product. A little animal companion is likely to sit on someone’s desk, acting as a conversation starter, and promoting your brand. Plus stats say a personalised mug is likely to be used repeatedly for up to three years, with your business name directly in the eye line of the user. Therefore adding value is key. Lumpy mail is also perfect for a new product launch or as press and event invites. It sets you apart from your competitors. This is because sending bulky items in the post may be something others will overlook due to perceived high marketing costs. But sending something bulky isn’t as costly as you’d imagine. Going back to our animal companions, they are certainly bulky (and cute, did we mention cute?) however they don’t weigh a great amount, meaning they are relatively low cost to send per item. 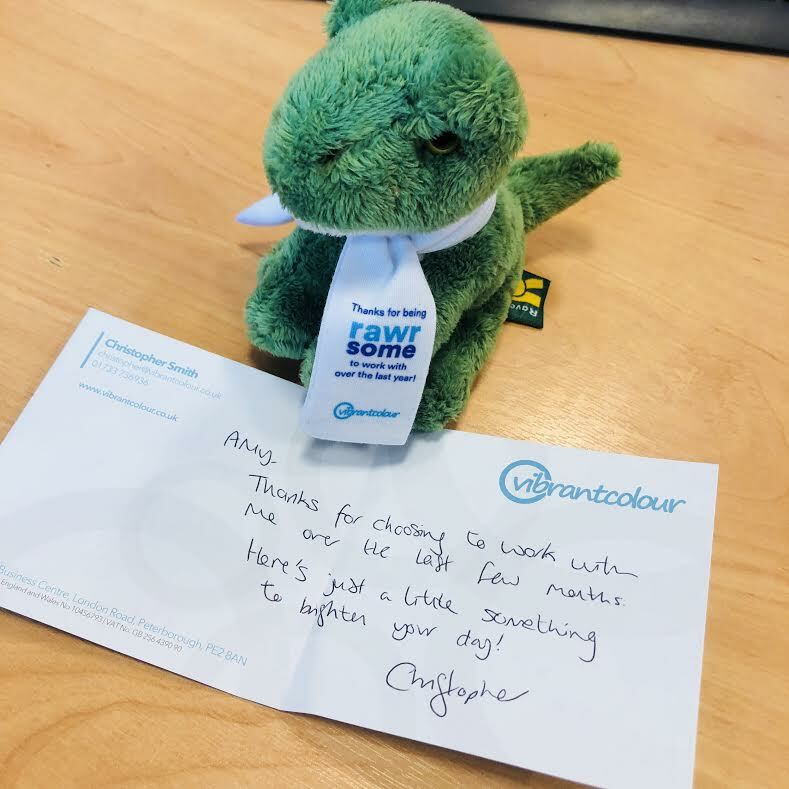 And as mentioned previously, cuddly toys have longevity and promote a positive impression of your brand, so if you choose to send lumpy post, you can weigh up whether marketing offline works for you. How about sending a new client a cuddly Seal when you’ve signed a big contract and ‘Sealed’ the deal? Or sending a cute elephant on an employee’s work anniversary, to show recognition that you’ll never forget how hard they work for you?